We are extremely proud to have been endorsed as a Which? Trusted Trader. We have worked hard to achieve our reputation for providing a high quality, professional removals with exceptional customer service and are delighted this has been recognised by Which? All Which? Trusted Traders pass a rigorous assessment process that recognises reputable and trustworthy traders who offer a quality professional service and high levels of customer service. The endorsement process includes a visit by a Which? 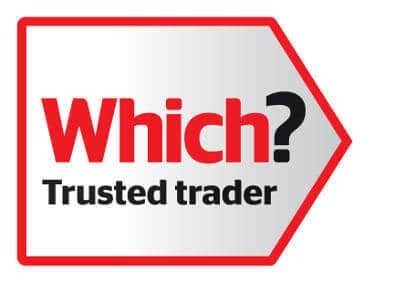 Trusted Trader assessor who also have extensive trading standards experience, as well as company credit checks, random customer references and more. This helps customers to make informed choices when choosing a removals company. Which? is best known for its testing of products from cars, computers, kettles, power tools, washing machines etc. For years they have offered impartial advice, raised awareness of consumer rights and safety issues through their magazine, public campaigns and their website. They are an independent organisation and are now the largest consumer body in the UK. They are a not for profit charitable organisation, all the money they make through commercial means is invested to support their work as consumer champions. They do not display adverts in their magazines or websites so they can work for the consumer without prejudice.